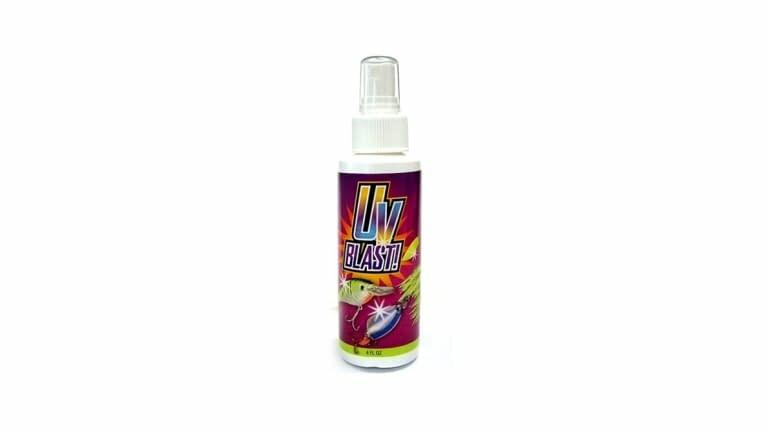 UV BLAST! is a clear overcoat that can be applied to any lure to reflect critical UV light. Your lure will flash even in dark, murky water where UV light, but not visible light, penetrates. Research continues to show that fish see and are attracted to UV light. And with UV BLAST! you get the strongest UV enhancer available today. So why let your lures get lost in the dark? Fire them up with UV BLAST! Directions for UV BLAST! Lure Spray: Shake before using. Spray on lure and let dry for 30 seconds. Test soft plastics for reactivity before use.